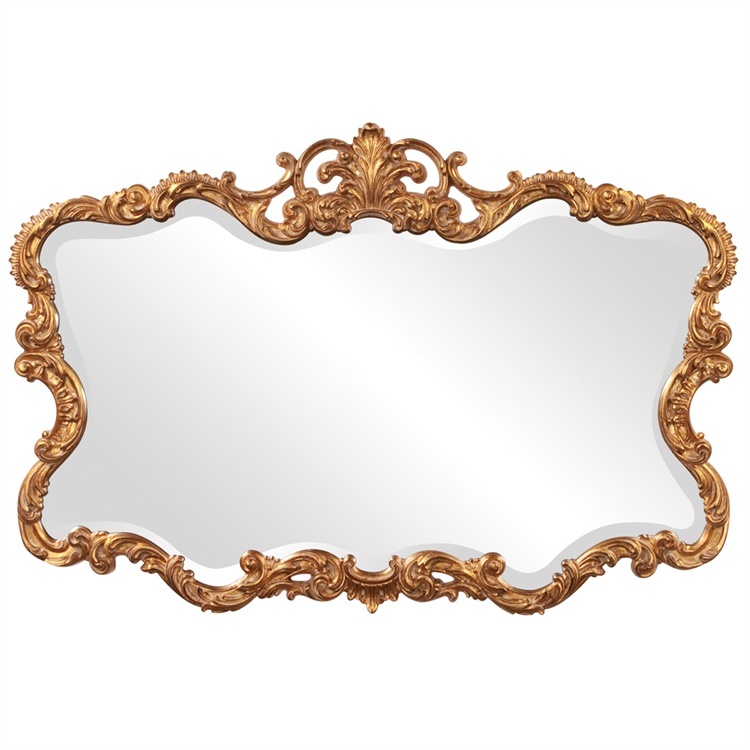 The Tours Mirror is a lovely piece featuring an ornate, textured frame adorned with decorative flourishes. The entire piece is then finished in a bright gold leaf. It is a perfect piece for any design. The glass is beveled adding to its chic style and beauty. It fits into a wide array of decor styles ranging from Traditional to Contemporary. Customizable for larger orders.